There’s a lot of talk in the industry about how mobile will be the next big shift in SaaS – particularly B2B (or Enterprise) SaaS. Strangely, although we’ve seen mobile completely change the way people use technology in the consumer world, it has yet to make a dent on the world of business software. Result: Turns out the experience was bad and nobody really used it. Oops. Result: Mobile SaaS is actually useful, when the use case makes sense in a mobile context and small, isolated workflows are broken out of the core product. Result: Companies and services are born that move on from the distinction between devices, towards ‘experience-first’ products that deliver value for customers across a range of screens, devices and platforms. If I ‘turn on’ a service, I seamlessly experience the benefits of that service wherever it’s valuable for me to do so. “Mobile-first” is how many of us envision working in the future. So why do we all still sit at desks with laptops? Let’s face it, downloading an app to your device has become somewhat of a pain. When compared to simply following a link to a web app, you have to open the app store, wait for the store page to load, hit the Download button, and wait for your device to download a ton of assets (half of which you probably don’t even need for your specific device and use-case), then put the home screen icon in a sensible place. 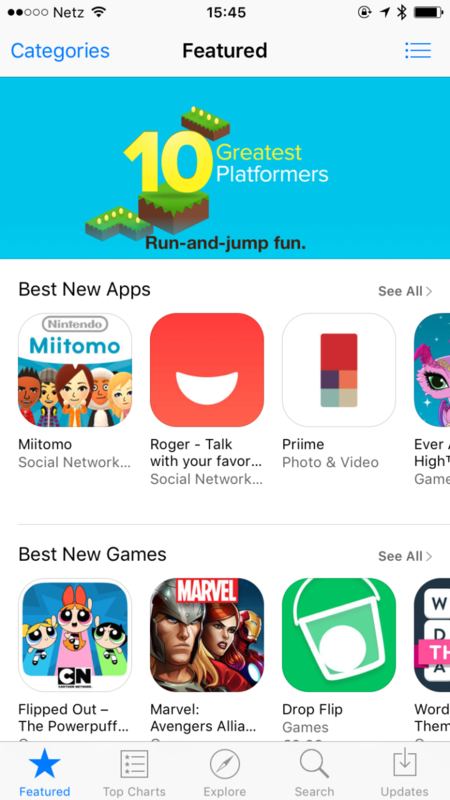 The App Store is stale. Of the millions of apps available on both the iOS and Android platforms, how many of those do you think are actually discoverable? Despite Google’s efforts to include app listings in its search product, and Apple’s efforts to surface App Store results from things like Spotlight searches, it’s not getting any easier to actually find that amazing app you’ll probably love. Privacy is the current hot topic in the tech universe. I would guess that in the next few years, there will emerge a greater awareness of data privacy in general, as big stories (such as FBI vs. Apple) hit the mainstream news. People are going to care about their privacy. The unfortunate truth is that to offer a service that is truly device or platform agnostic, you’re going to have to track people across a number of platforms and devices. This doesn’t come without concerns. Most SaaS products today are entirely reactive. That is to say, they exist as tools which you can go and access to get information about an aspect of your business, and maybe carry out a task related to your business. Sure, they’re effective at doing their job, but a truly platform-agnostic service will not be able to rely on the user remembering to log in and check the state-of-play. People are increasingly strained for time and attention in this age, so services must adapt to be more proactive for the user. If there’s an opportunity to tweak my marketing automation process, don’t wait for me to log in and see it — notify me! The end-user is rarely the buyer (in Enterprise), so acquisition on mobile app stores is somewhat difficult compared to consumer. The person who installs your Enterprise SaaS app on their phone is likely not the same person who can make the decision to use ‘SaaS Product X’ across their business. This presents a set of problems around both discovery and acquisition, particularly in the constrained walled garden of the App Store. If you want a smooth purchase and onboarding experience, it makes sense to make use of the native payment infrastructure that the platform provides. The problem with this? Handling subscription billing on iOS is not a nice experience, for the vendor or the user. And good luck getting any data out of Apple’s platform, or using a 3rd party analytics tool! This is why most apps have gone down the one-off micro-transaction route as a solution for monetization. The majority of work is still done in the office – people try to keep their work time from leaking into personal life. The smartphone (and other mobile devices) are still inherently personal devices. They own highly personal interactions with people close to you, and they’re completely geared towards a single user. People are often reluctant to mix their work and personal life, therefore introducing an enterprise app to their personal smartphone doesn’t feel right. And who wants to have 2 separate smartphones in their pockets? Mobile devices, despite what Apple tells you, are still primarily used for consumption rather than creation. 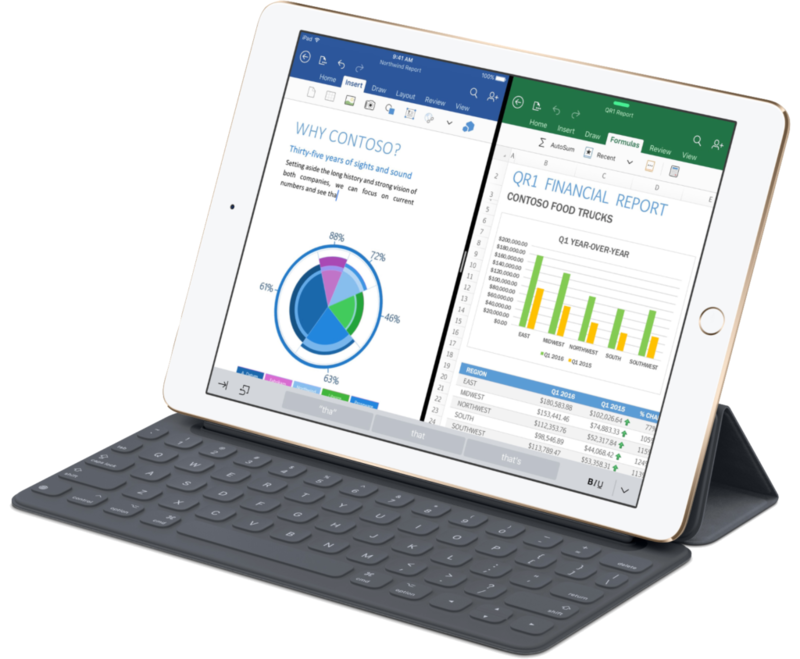 Despite shiny videos of artists and architects using their shiny new iPad Pro, and writers tapping away on their cramped bluetooth keyboard accessory, these devices still have problems as pure productivity platforms. In the workflow of a Content Marketer for example, there would be tasks you’d struggle to complete without falling back to that trusty MacBook. Which leaves us with mobile devices which are only ever an accompaniment to a “full computer”. We’ll never move beyond these barriers unless the industry undergoes a fundamental change to the way in which we’re thinking about devices and platforms. Our current way of thinking imposes somewhat artificial limitations on our success in building cloud-based products and services, but the platforms also need to evolve beyond the narrow view they adopt today. We need to stop thinking in terms of ‘mobile’ and ‘desktop’. Our current way of thinking imposes artificial limitations on our success in building cloud-based products. Stop thinking about ‘devices’ and instead simply consider each consumer device as a ‘screen’, where the user interacts with services. And instead of ‘mobile’ as a platform, simply focus on different screen sizes and which types of screens are relevant to your service. 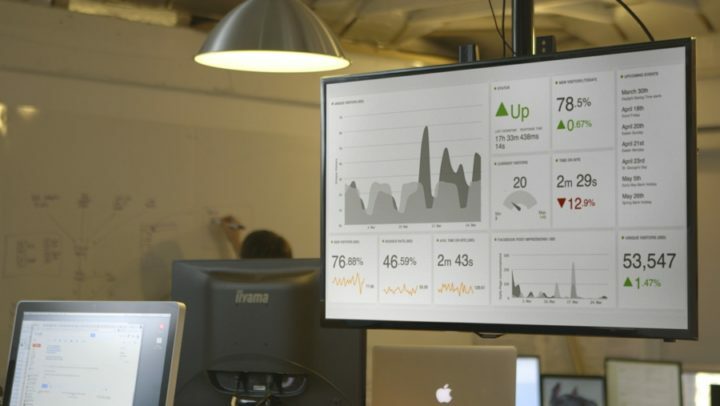 Put your energy into screens where people’s eyeballs are. Put energy into screens where your customer’s eyeballs are, when they’re encountering the problems that your product solves. A number of B2B companies are already thinking more on the level of taking small parts of their solution – the ones that make sense on a small screen – and offering a mobile version of them. 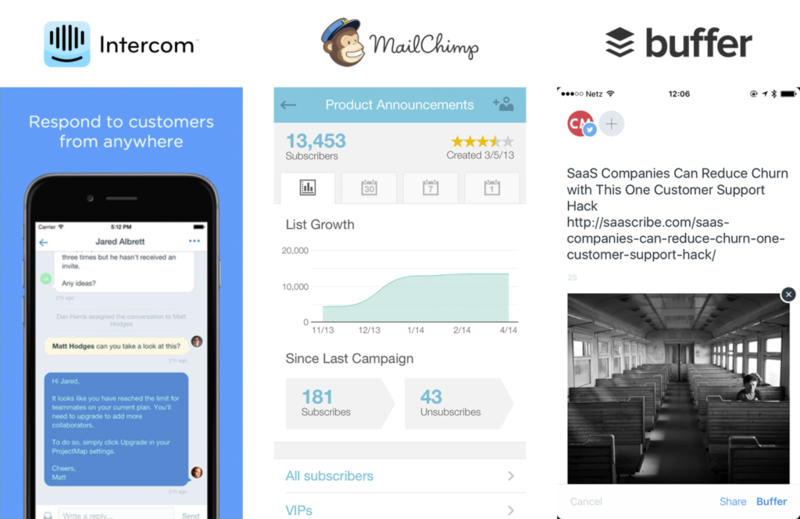 Intercom’s iOS app gives you the ability to respond to users on the go – allowing you to maintain an exceptional customer experience. 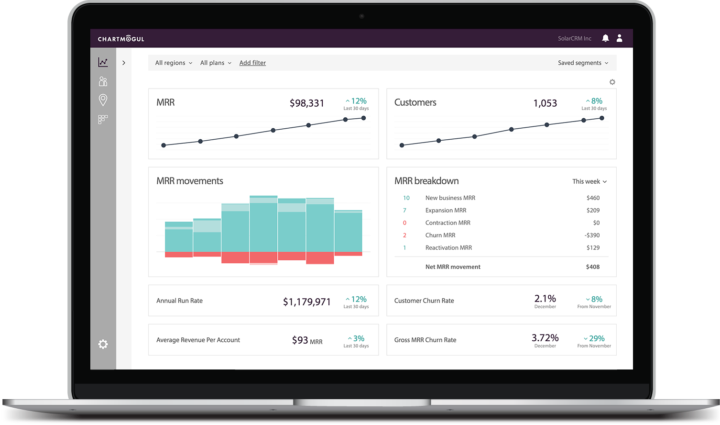 Mailchimp allows you to quickly check the performance of a campaign when you’re away from your desk. Of course, you can’t compose and design a new campaign in their app – but why would you? Buffer understands that you want to be able to queue some great content, whenever and wherever you find it. That means having a presence on mobile. If we look more towards the consumer space, there are some companies which truly live and breathe the notion of “existing anywhere that’s relevant to the user”. Take Uber, for example. I can order an uber from most connected devices that I use every day. I can tap my Apple Watch and a car will arrive within minutes. 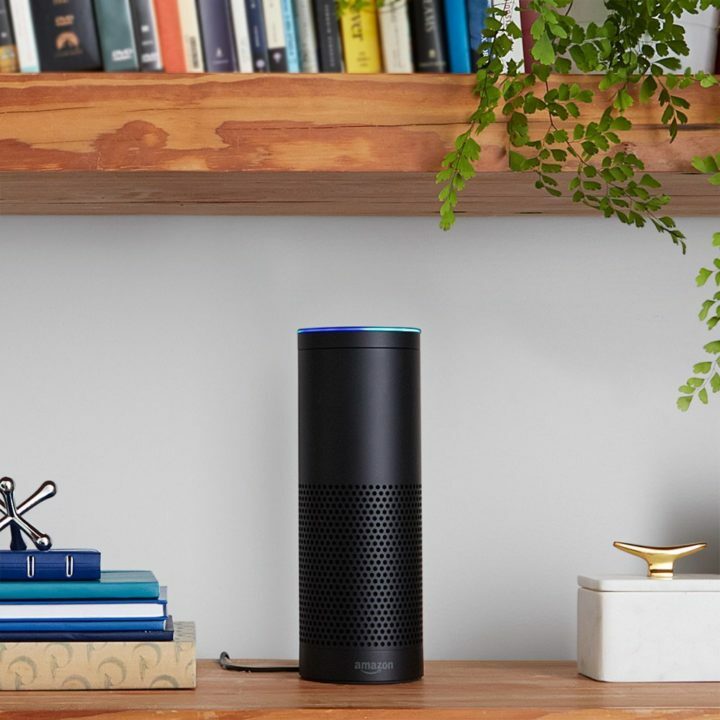 I can shout at my Amazon Echo to order me an Uber – and that doesn’t have a screen! Think of your SaaS product as an ‘experience’ that can be enabled for your customers when they subscribe. Think about allowing users to interact with your experience wherever it makes sense for them to do so. Build for platforms that are most prevalent during those points when it makes sense to interact with users.